Ha, wow. That says a lot about the Mariners if David Eckstein didn’t want to play for them. Rays need to move to the fairgrounds east of Tampa near I-75. Bingo!.. Only the clueless and greedy folks of St Petersburg running that town would rather them leave the area than break that precious lease. That stadium is barely better for baseball than it was for hockey when the Lightning were forced to use it as a temporary home and the stadium should have been torn down years ago as the albatross it is. gift and a curse i presume. Since Burrell, Rays havent had any bad contracts.. but thats mostly due to the fact that they can’t afford any FA’s.. giving them a larger payroll might have lead to more bad contracts. Well, those teams are Above 100MM by a bit. They could just as easily be the Mets with these arguments. The rays compete (for now) in a tough division with a 42MM payroll. Eventually, their young talent will expect money that’s equal to, or greater than what their talent deserves(see Longoria, and like every pitcher they have). They need to make some money before they lose what they have. Normally I’d agree, but Friedman has found a good balance of competing now and in the future, he let their best player walk away and traded one of their best starters and still made the playoffs that following season.. 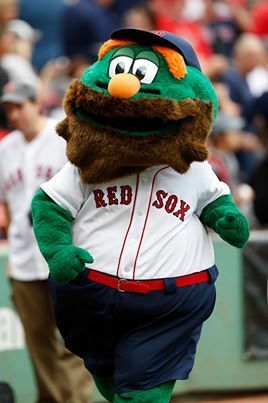 I predict Ordonez signs with Boston. @Steve Adams, Foster is the name of the Mayor of St. Petersburg, where the Rays play. Tampa Bay is a region not City…. I would think that Detroit would be in on Maggs now that they’ve lost V-Mart. He’d be an affordable high-average DH with a decent amount of pop in his bat. Plus, he can play OF once or twice a week if they decide someone else needs the day off. Magglio can play on my co-ed softball team. He will love all of the other Hugo-loving socialists that play with us! Maggs to Reds on minor league deal? Why hasn’t Fielder signed yet. Doesn’t he know that he’s only losing money? How is he losing money? He is the only impact bat left on the market. My high school economics taught me that supply demand sets prices therefore the supply is down and demand is still atleast three teams. I think he is making more. Did you happen to fail that class Zach? because while he technically might not be losing money, he’s definitely not gaining any money. The reality is that Fielder picked a terrible year to become an FA. The big spenders are out of the running because they have comparable or better 1B’s. NL teams won’t give him the years he wants, and AL teams are mostly noncontenders where he doesn’t really want to play. I disagree greatly. What exec did you talk to that the NL teams do not want to give him years? I agree with a bad year to become a free agent but next year is no better so really it doesn’t matter what year he comes out with in reason. He will get 150 over 7 years from some one becasue he has played this out to where two or three teams are going to want him for the push to make them WS contendors and will bid against each other driving the price up up up. Fielder is seen as a future DH. So NL teams don’t want to hand him a monster contract for him to butcher in the field in the future. Pretty simple. I am interested in who those teams are, close to WS contenders that can afford 7/150m for a future DH. Nationals might be desperate enough to choke up 5 years, mariners are years away from competing.. Rangers just spent 100m on something they needed far worse in darvish and one of their owners has publicly stated that he prefers going LT with a Hamilton extension. The obvious big spenders.. NYY, Boston and Philly are out.. So who are the other 2? Not trying to put you on the spot, but who exactly are those other WS contenders with 21.7m a year deep pockets for 7 years? He has too much trust in Boras to find him a six year deal for over $150 million but what he should do is go where a team can build around him and a solid starting pitcher like King Felix. Signing Fielder would mean having to trade Smoak when his value is low. I wonder if the jays can get butler out of KC for some pitching perhaps. The OBP would fit in nicely in the DH spot and he could take Lind’s AB’s vs Lefties. Why would KC trade him now? Hes young and cheap for the next three years. He would fit nicely on any team in need of a 1B, his on base numbers are impressive. to address other needs would be the best answer..
KC has an impressive offensive nucleus moving up, but the arms are still a year or two away, if not more.. They would trade him for some rotation help I’m sure..
You’re probably right. Butler is who I hope Mitch Moreland can become. Yeh would makes sense, however im not sure when Royals are expecting to start contending? If they think they can keep up with the Tigers this year they definetely cant move him. I think the Royals feel their window is just opening this season. Steve Adams get your facts straight first you say David Eckstein is retiring then you say he is not retiring then you say he is retiring all in the span of about 8 hours what next he signs with someone. Make up your mind. Why don’t you admit it when you get your facts wrong. Raysshould sign Derrek Lee for cheap. He can help spark that team and give them more offense.